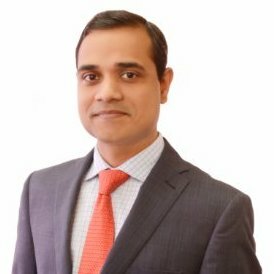 Ravi Shankar, managing director of investment banking coverage, Deutsche Bank, has resigned to join JPMorgan India’s investment banking team as managing director, two people aware of the development said. Shankar is expected to join JPMorgan after mid-August, the people added. The development comes after JPMorgan restructured its Asian investment banking leadership team last month. It announced that its Southeast Asia banking head Rohit Chatterji, and energy and industrials head Kerwin Clayton would jointly head investment banking for the US firm in Asia. When contacted by VCCircle, Shankar declined to comment. A person privy to the development confirmed Shankar's exit on the condition of anonymity. JPMorgan did not respond to e-mail queries from VCCircle seeking comments. The Mint newspaper first reported the development. Shankar, an alumnus of Indian Institute of Technology-Kanpur and Indian Institute of Management-Kolkata, was the India head of investment banking at UBS till 2013. He joined Singapore-based Avista Advisory Group in February 2014 to head its investment banking operations for India. He joined Deutsche Bank in 2015. Of late, India's investment banking space has seen some top-level people joining other organisations as well starting ventures of their own. Last week, VCCircle exclusively reported that the head of investment banking at Lincoln International was on his way out to start a new fund. Earlier this month, mid-market investment bank Veda Corporate Advisors saw one of its co-founders step down to float a new firm.